Mike Daly, lead designer for Insomniac, chats with Shacknews about the team's approach to one-to-one movement in upcoming VR game Stormland. As early virtual reality games show, moving around in VR isn't always easy. Previous VR titles used a system much akin to teleportation in order to avoid issues with dizziness or motion sickness, but as the medium continues to evolve, developers are able to implement true free-form locomotion. Shacknews recently had a chance to speak with Mike Daly, Insomniac's lead designer on Stormland, to discuss how the team approaches the challenge of one-to-one movement and how past experiences are building toward a more fluid VR gaming experience. "One of the biggest lessons that helped us was [discovering] over and over again that one-to-one motion is intuitive, because it gets you an expected result. Therefore, your brain is OK with what's happening — when you're climbing, every inch of motion corresponds exactly, in-out, up-and-down to your movement. With that expectation met, players don't get the same sort of motion sickness that they would otherwise." Learning from past experiences is apparently a big part of how Insomniac Games has managed to create a much more fluid sense of motion and general freedom in Stormland. According to Daly, the end result represents years' worth of smaller lessons learned. "That, in combination with a lot of usability testing that gives us little micro-tweaks — things like smoothing out the terrain and putting caps on instantaneous velocity — are all just little discoveries that get us steps further toward the ultimate goal of fully comfortable, fully expressive movement." 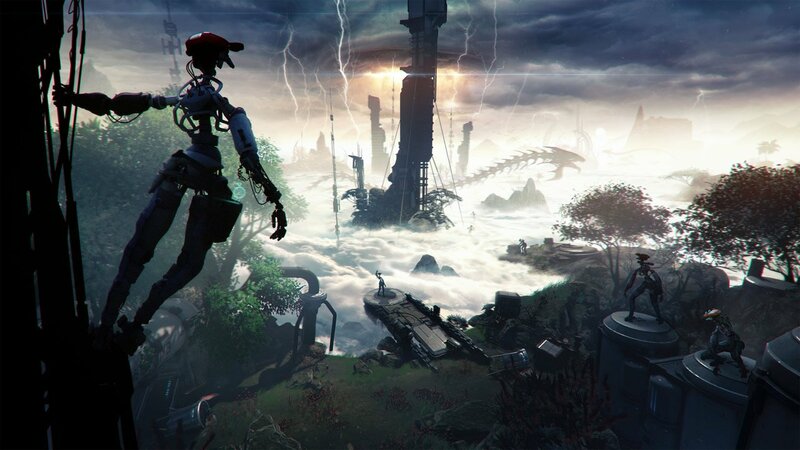 Insomniac Games' Stormland is slated to release for Oculus VR sometime next year. For more gaming and games industry videos, including convention coverage and in-depth developer interviews, be sure to follow both Shacknews and GamerHub.tv over on YouTube.